Donald Trump Jr. and his wife Vanessa Trump are on the rocks and reportedly heading for divorce. The couple, married since 2005, is weighing their options after the tumultuous first year of father Donald Sr.
Don Jr. has reportedly been traveling a lot lately without his wife, who has apparently been left to raise their five children alone. 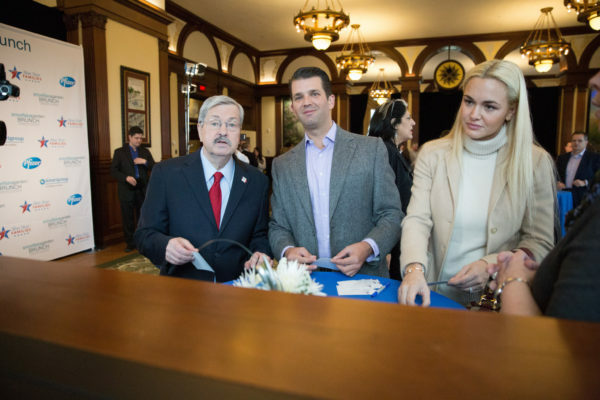 Don Jr. and his brother Eric Trump have been left with the Trump Organization after their father made his splash in Washington, surely adding to the relational strain. Friends tell Page Six that Don Jr. has been acting strangely and tweeting erratically, which may or may not run in the family. While divorce papers have not yet been filed, friends are expecting them to do so very soon.